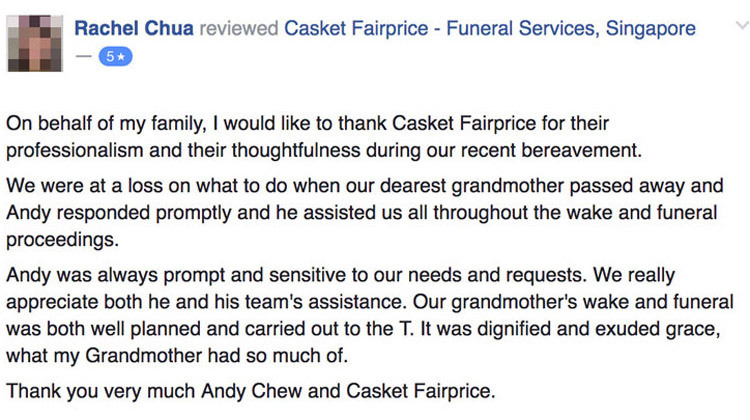 At Casket Fairprice, we’re more than just caskets. 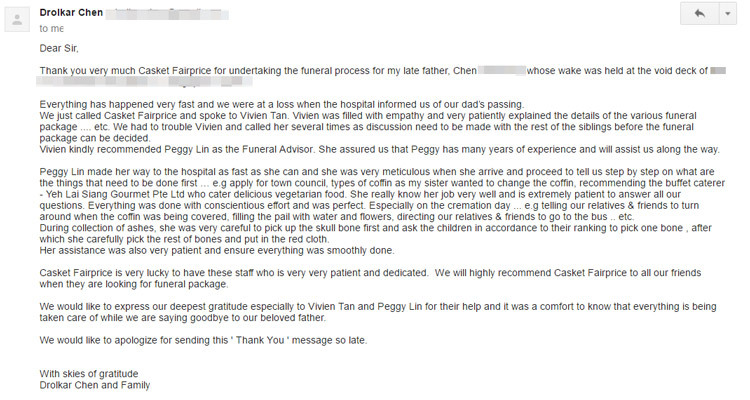 We offer comprehensive funeral parlour services in Singapore that go above and beyond the benchmark. As well as caskets, we can provide a supportive funeral team, with guidance at every step of the journey. All of our rates and prices are the most reasonable in Singapore, and we’re here to help you take the stress out of planning an appropriate service for your needs and requirements. 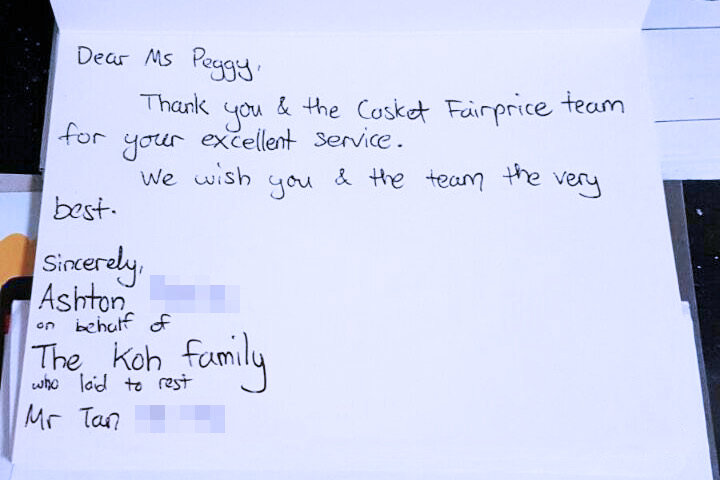 We at Casket Fairprice are committed to provide the best possible service to bereaved families that we are honoured to serve. 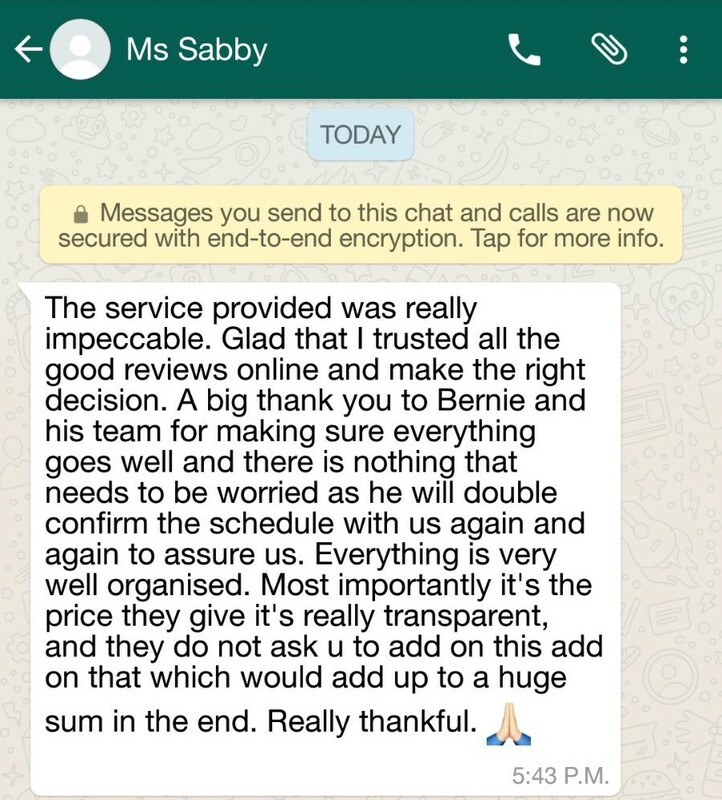 Over the years, we have received many testimonials and reviews about our service, and below are just a few of them. We can cater to all budgets, religions, needs and preferences. No matter what you have in mind, we can do it. Whether you want a grand and elaborate event, or just a simple service, we can make it happen. 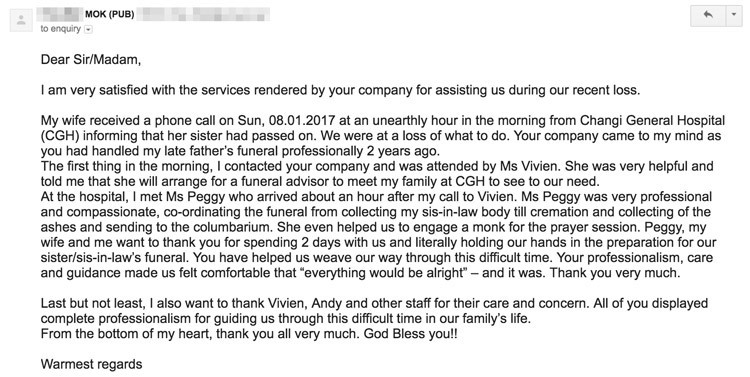 It’s the unique, attentive and caring approach of our funeral team that sets us apart from the rest. We always put you, the client, first, and you’ll notice the difference. 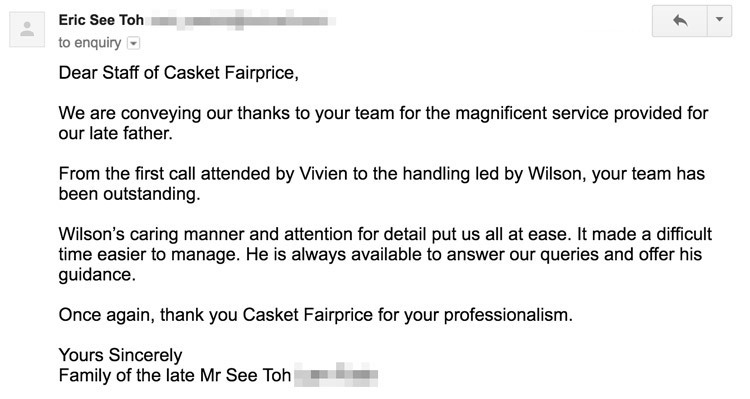 At Casket Fairprice, funerals are our strength. We offer attention to detail and a level of understanding that is not found at most funeral parlours. 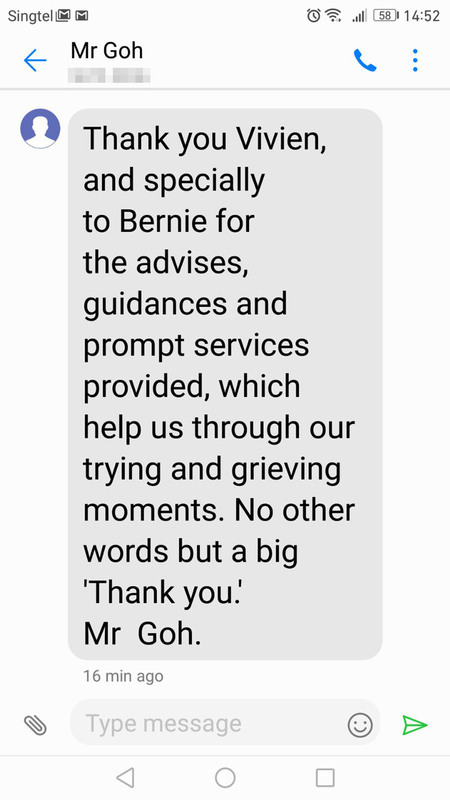 That’s because our team have years of experience in the industry, and we have catered to all different individuals in organising a fitting memorial service. 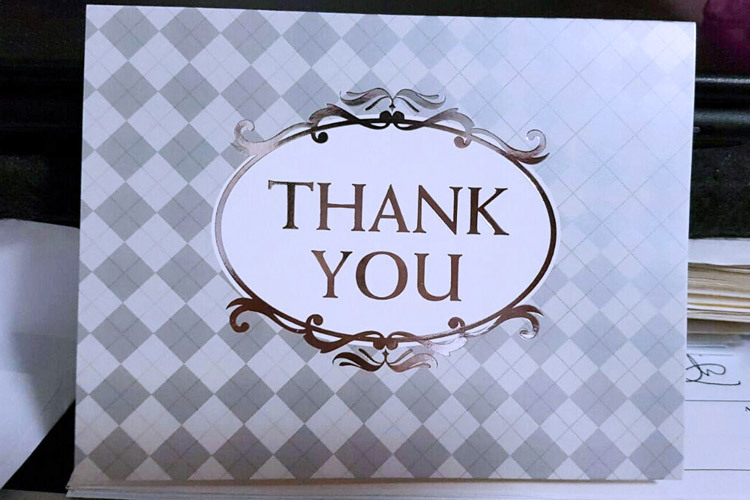 If you have any further questions on how we can help you during your time of mourning in planning a funeral or memorial service in Singapore, give us a call. 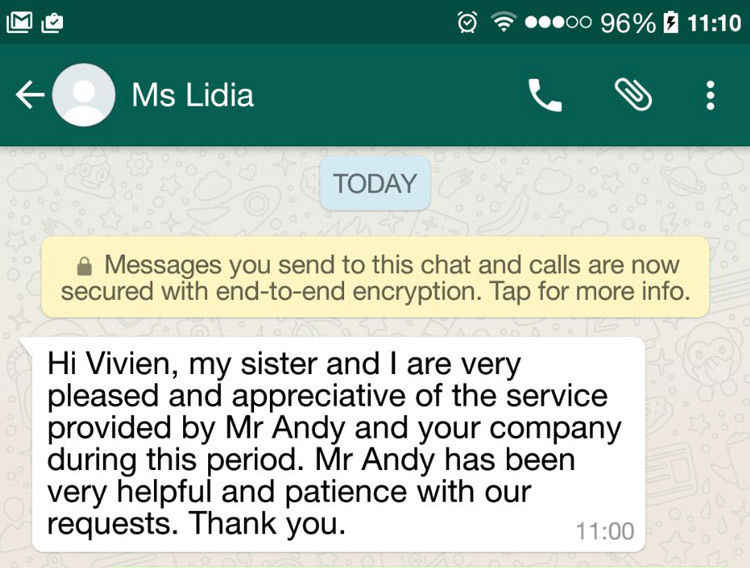 We’re always here to help and offer our services. 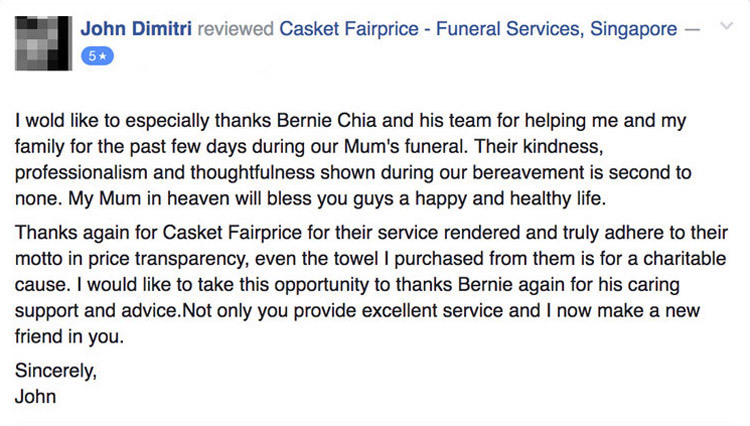 Choose Casket Fairprice and organise a beautiful funeral today.